To view our current inventory of antique and vintage marine telscopes, click here! Early 20th century telescopes are becoming increasingly difficult to find in good original condition, particularly from a pedigreed instrument maker like Negretti & Zambra! Presented is a very large, high quality, British Naval pattern, single draw telescope from one of the Admiralty's best know makers, Negretti & Zambra. It was made for use by a British Royal Navy Officer, L. S. Andrews of which no further information is known. CONDITION: Admiralty pattern, single draw telescope of brass or copper. Pleasing patina of age. The movable sun shade forward has a few dents as would be expected. The 40mm objective lens is uncoated, but in good condition. The focus which is sharp and clear. The sliding sun shied is to reduce glare at sea. Both lenses are free of fungus. The leather covering is complete with as slight wrinkle at where it joins together. MARKINGS: In Old English Block. BRIEF HISTORY NEGRETTI & ZAMBRA. Enrico Negretti and Joseph Zambra started their company in 1850, which was run by them and their descendents until after going public in 1948 there is no mention of their activities after 1964. They had shops firstly on Regent Street and later on at Holborn Viaduct, London, England. The company was successful from the start, winning a medal for meteorological instruments at the Great Exhibition in 1851 and counting among their customers the Astronomer Royal, Prince Albert, the Royal Observatory and Admiral Robert Fitzroy. In the early days they specialized in barometers and thermometers, particularly those required for taking deep sea and atmospheric measurements, which until their instruments were available were not very reliable. They continuously added to their range of products all types of measuring gages, and instruments which included, but was not limited to telescopes, sextants, gun sights, theodolite and similar optical instruments. During the 1914/1918 war the firm was almost entirely engaged on work for the Ministry of Munitions on the production of various instruments. When the war ended it was decided to give up the manufacture of all optical instruments and to concentrate on the production and development of Industrial and Aeronautical Instruments.Their association with the British Air Ministry started in 1920 when they developed a thermometer for taking the temperature of aircraft oil and air. During World War II, N&Z expanded substantially to meet the demand for instruments for aircraft and war planes in particular. Their aircraft instruments were also produced under license to the USAAF. No record was found of when and why they went out-of-business. This is a fine example of a genuine antique marine telescope which was made prior to 1918 when the company discontinued making telescopes. INSURED SHIPPING to 48 contiguous States $20.00. Early 20th century telescopes are becoming increasingly difficult to find in good original condition, when bearing the name of two important instrument makers, the renown G.S.N. 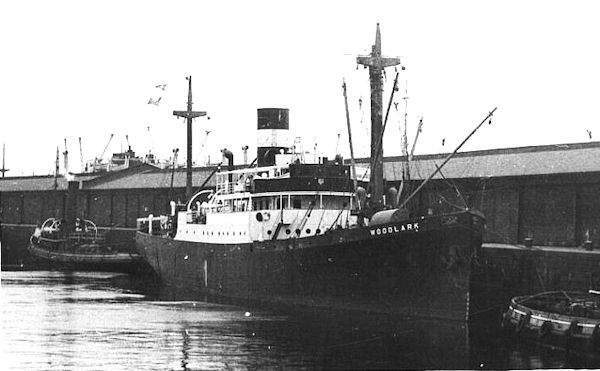 shipping company, and the SS WOODLARK! Presented is a very large, high quality, British Naval pattern, single draw telescope from one of the Admiralty's best know makers, Reynolds & Son. 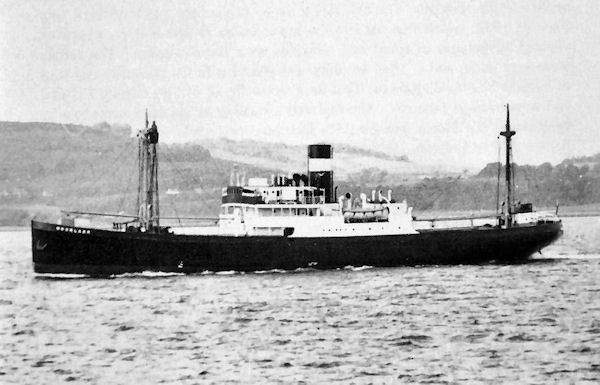 It was made in conjunction with Dobbie & Clyde Ltd of Glasgow and London with whom they formed an alliance before there was a consolidation within the British instrument industry and both became part of Lille & Co. Reynolds & Dobbie were at the forefront of English companies serving the new steam ship industry. But their are few of their telescopes known to have survived. Their products were of the highest standard for the period, and this telescope is no exception. It is in full working order with only some minor exceptions. It was made for the General Steam Navigation Company known as G.S.N. Co. Ltd. The telescope is also marked for the SS WOODLARK whose photograph below is dated 1908. The history of all these companies is summarized in brief below. Little is known of the WOODLARK'S history, but the telescope was likely made in the first quarter of the 20th Century based on Dobbie McInnes' use of that name. MARKINGS: All in Copperplate font. CONDITION: Admiralty pattern, single draw telescope of brass or copper. Deep dark rust colored patina of age. The barrel has a few dents as would be expected. The large 45mm objective lens is uncoated and has a tiny chip on the exterior. It does not affect the focus which is sharp and clear. There is a sliding sun shied to reduce glare at sea. There is no dust cove. The ocular lens has a sliding cover, but it is frozen. Both lenses are free of fungus. REYNOLDS & Son Ltd, LONDON E.C.3' was a long standing instrument maker to the Admiralty, and was originally established in 1880. Dobbie McInnes Co. traces their roots back to the turn of the century when shipbuilding on the Clyde was thriving. They were appointed as ‘Instrument Makers and contractors to the British Admiralty’ producing chronometers. Offices were in South Shield, London, Glasgow & Liverpool.They also made Dobbie McInnes steam engine indicators from 1903 until 1921, and then again from 1937 until the late 1950s. The General Steam Navigation Co Ltd had its beginning in 1821 and its growth was rapid in international ocean trade through much of the 19th Century. It began to be negatively impacted by the increasing competition of railroads and the loss of its cattle transportation business due to the plague and laws prohibiting their transport at the tail end of the century. Early in the 20th Century the company consolidated its London river,excursion trade and acquired a fleet of Norfolk wherries. They also began to develop its wharfing interests in London.At the end of WWI the company expanded its interests in several fields but larger companies which made them a takeover target. In 1920, it was taken over by the P&0 Company. In turn, G.S.N. acquired several other small companies. Although wholly owned by the larger company, the G.S.N. Company led a largely autonomous existence until 1971. In this year the P&0 Group, as it had now become, reorganized its subsidiaries and the old G.S.N. Company became a part of P&0 European and Air Transport Division. See L. Cope Cornford, 'A Century of sea trading' (London, 1924); H.E. Hancock, Semper Fideles: 'The Saga of the Navies' (London, 1949). THE CONSOLIDATION HISTORY: John Lilley & Sons started business making nautical instruments in 1812. Almost 100 hundred years later in 1911, John Wilson Gillie invested in the company and it changed its name to John Lillie and Son, Ltd. John Lilley and Son had been the sole London agents for Sir William Thomson, Lord Kelvin, but this association ended in disagreement. In 1913 Lilley and Gillie merged, and after this date instruments manufactured by the two companies bore the name John Lilley and Son Limited of London and North Shields. During the 1930’s many of the London nautical instrument makers were in difficulties, including John Lilley and Son Limited and Reynolds and Son, Dobbie and Clyde Limited, and Mr. J.W. Gillie arranged an amalgamation between these two companies. The new firm became Lilley and Reynolds Limited. In 1943, started a period of mergers, consolidations and dispositions of many companies related directly and indirectly with the original Gillie and Lillie of North Shields. In 2001, the surviving company became the largest part of the Charente Group and subsequently acquired the operations of Thomas Walker & Son, Ltd, in 2002 and in 2004 it bought a 50% interest in PC Maritime a digital chart maker. Overall, it is a fine example of a genuine antique marine telescope with a documented history tracing the British Maritime Industry in the early 20th Century. It should make a wise investment.